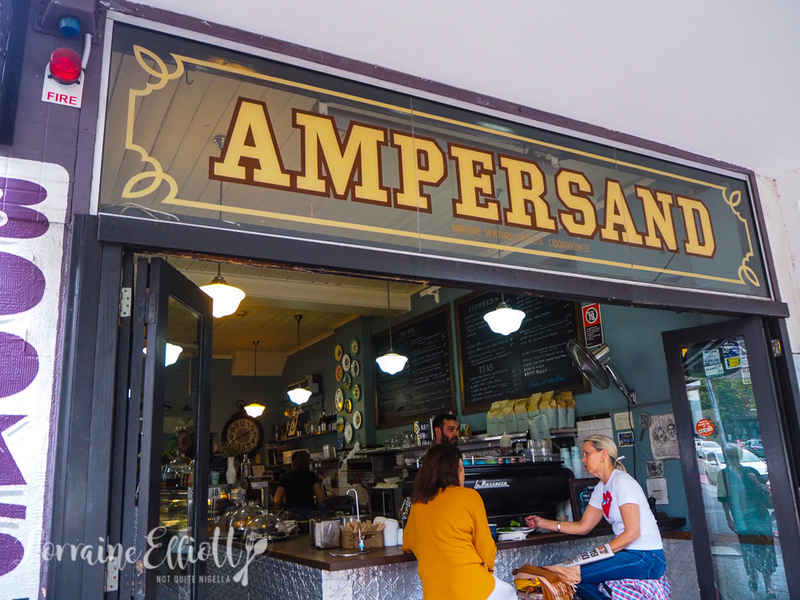 Ampersand cafe is a cute cafe with outdoor and multi floor indoor spaces. 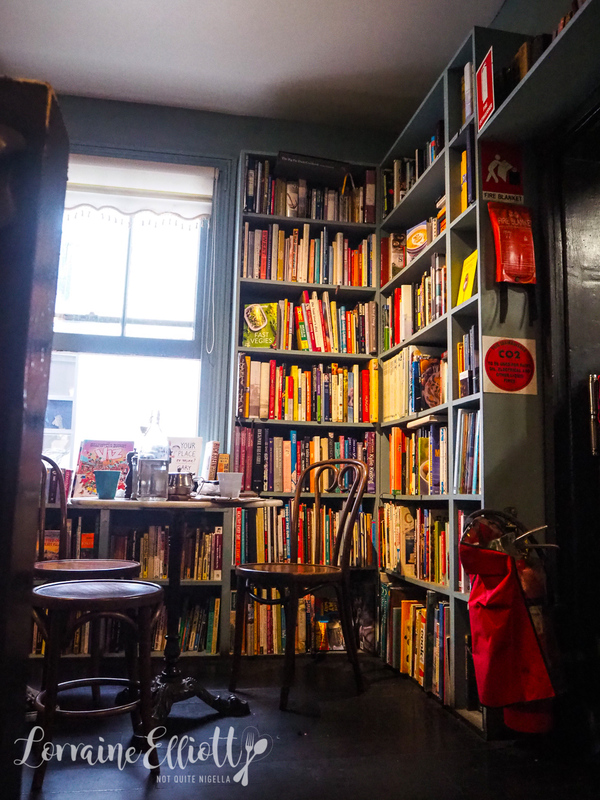 Spend time with a book, or with a friend with a cup of tea or coffee, lunch or a cake. Nina suggested that we go to a cafe one day. I usually suggest a few places so I asked what sort of place she wanted. "Somewhere cheap with vegetarian options that’s in my zone. Obviously!" messaged Nina. "I have somewhere perfect," I replied to Nina with a copy of their menu adding, "Wow that was surprisingly easy." 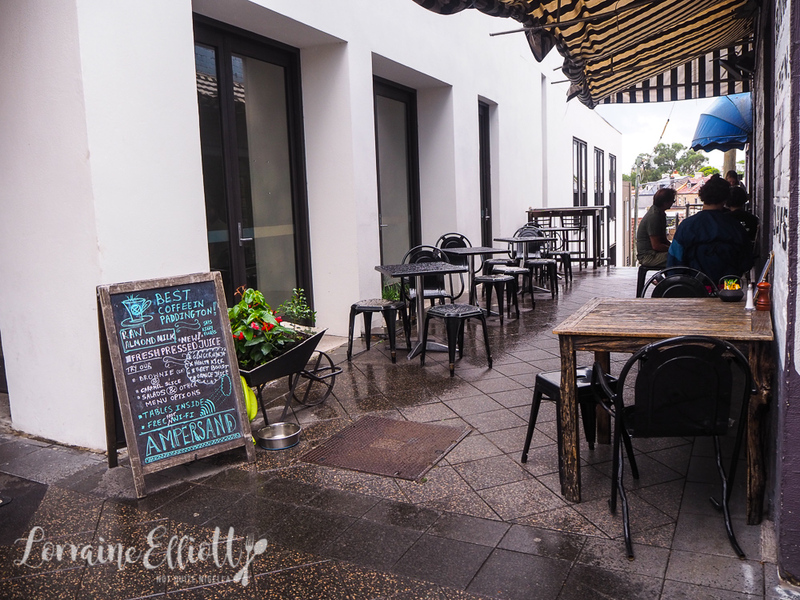 It's a rainy Autumn day when we arrive at Ampersand on Oxford Street. 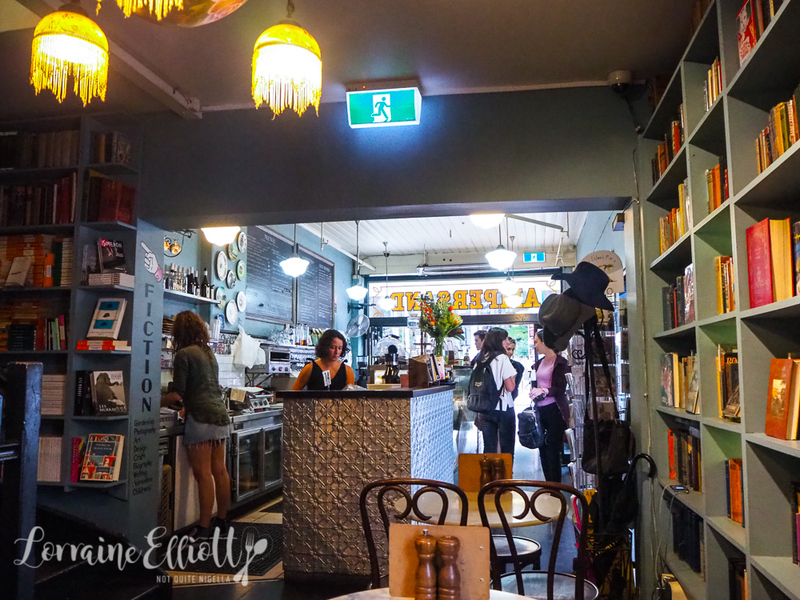 It's also the perfect day to be inside a book lined cafe holding a cup of freshly brewed tea. Nina and I take a seat in the corner of the ground floor of the cafe (there is also a downstairs area and a terrace). You make your order and pay at the counter. The chai latte comes in a pot and I think there was a misunderstanding because this came with soy milk which isn't my favourite milk. Other than that it is nicely spiced and is made from tea leaves and not sweetened so you can adjust the sweetness. My food choice is the Ampersandian because it sounded just so wholesome with lots of delicious vegetables. A waft of bacon tempts me but I decide to go with the cold smoked salmon on the side extra. 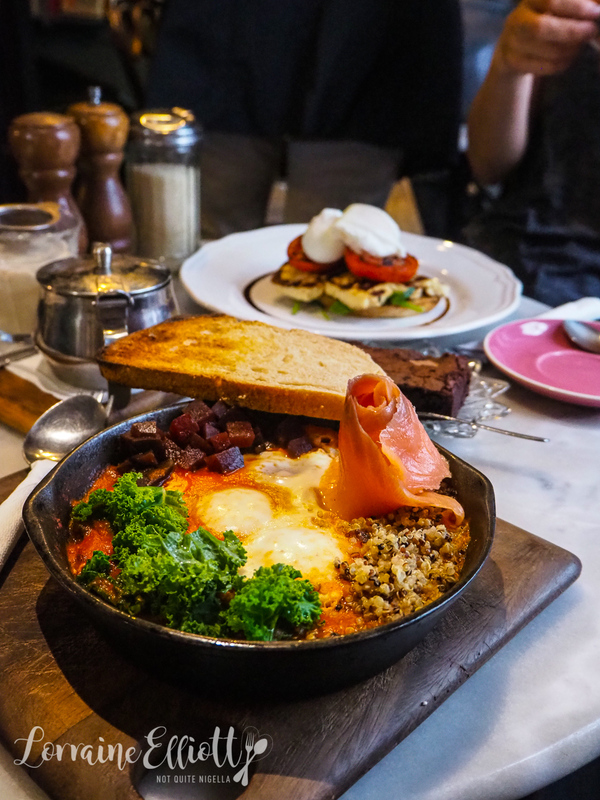 It's a cast iron skillet filled with baked eggs, kale, kidney beans, beetroot cubes, black quinoa and yogurt tahini. It's quite nice once you season it and I think I was hoping that the beetroot relish was more relishy to give it an extra boost of flavour because it was really more beetroot cubes. I think next time I'd go for the halloumi as a side instead of the salmon. 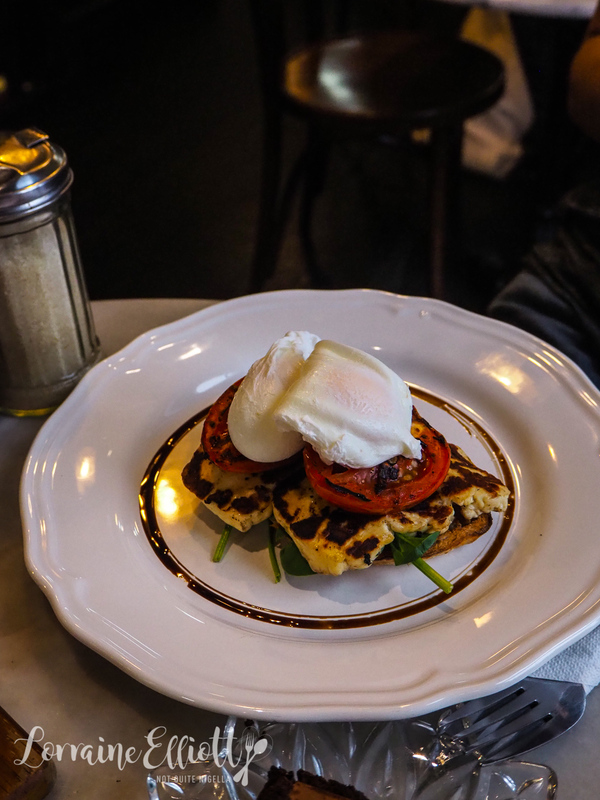 I actually preferred Nina's dish which is poached eggs, slow roasted tomato, baby spinach, grilled halloumi cheese, basil pesto and a lemon and balsamic dressing on schiacciata bread. I think hers had a good balance of flavours and didn't need as much seasoning. In fact I would have happily eaten all of this. 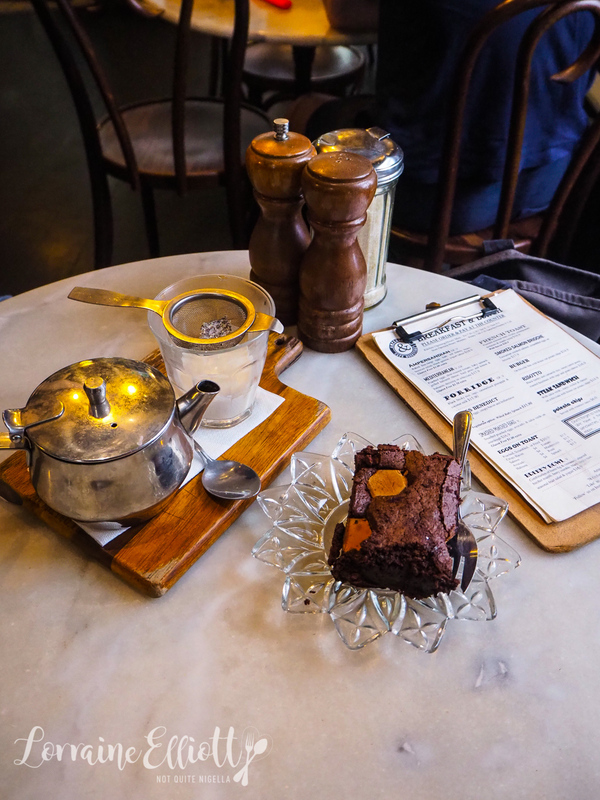 I ordered a brownie to go with my tea. 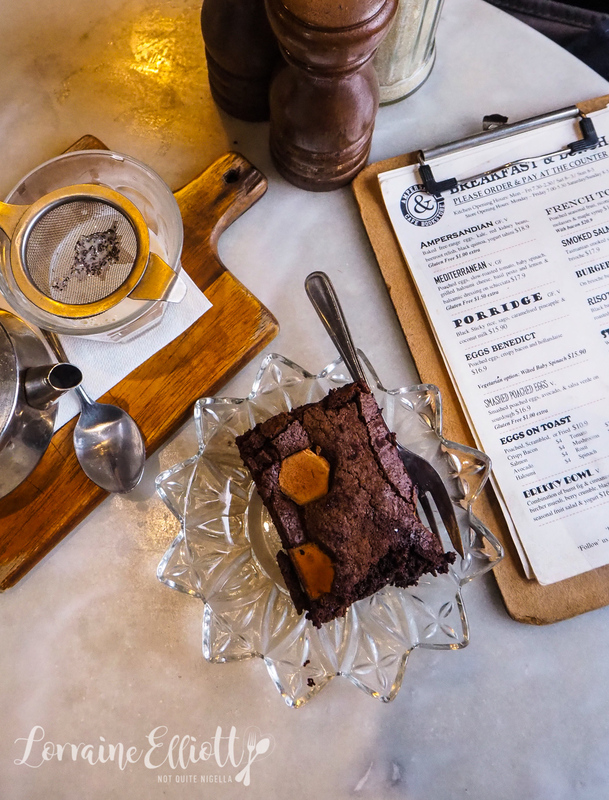 There are a lot of gluten free goodies here and the gluten free brownie caught my eye. It is rich and fudgey with a lovely texture and a crispy top. Even Nina tries some which is saying a lot. 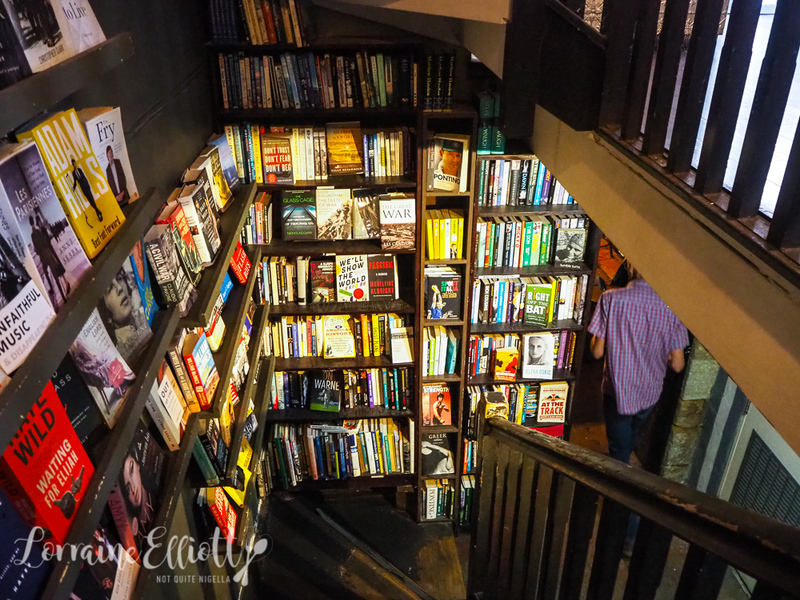 And for two busy people, we don't really feel the need to rush away and we spend the rest of the time thumbing through books and sipping coffee and tea! So tell me Dear Reader, do you take your time at cafes or do you tend to eat and then leave?